Let’s move beyond those default Photoshop Brushes that came pre-installed, and spice up our designs with these free Photoshop brush sets! 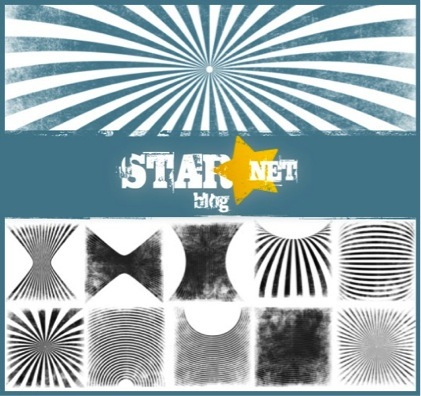 A brilliant collection of 21 astounding smoke brushes by Graham Jeffery. 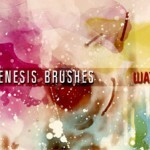 This delightful collection of brushes delivers an excellent background for further works. 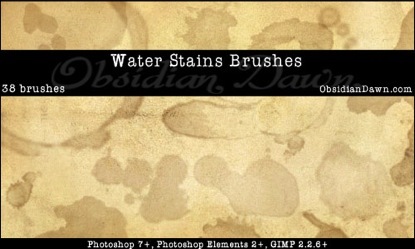 This set of brushes contains 38 Photoshop brushes that work great to recreate coffee or tea stains. These 30 hand drawn speech bubbles brushes come in various shapes, forms, and orientation. 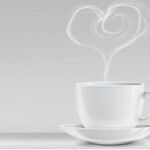 Great for adding more life and characteristic to your designs. 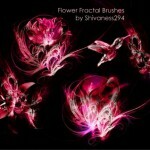 A useful selection of 6 various fractal styled brushes. 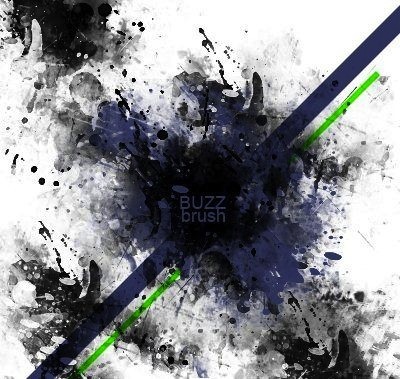 A set of 10 brushes, each at 2500 pixel squares resolution, great for backgrounds in both web and print designs. 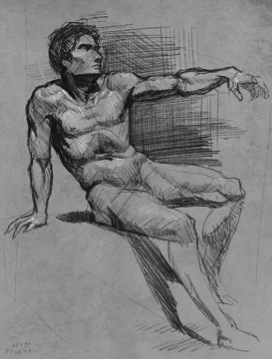 An amazing pencil brush set great for coming up with visually interesting sketches created by Andantonius. 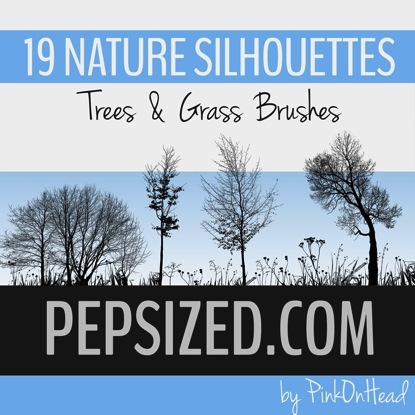 An awesome collection of brushes created by Pinkonhead. 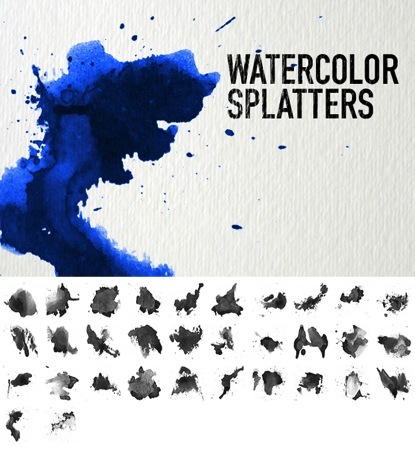 A fantastic set of 12 splatter brushes suitable for print use. 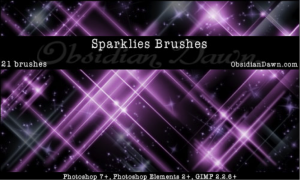 This brush set contains various glows, sparkles, and glitters. 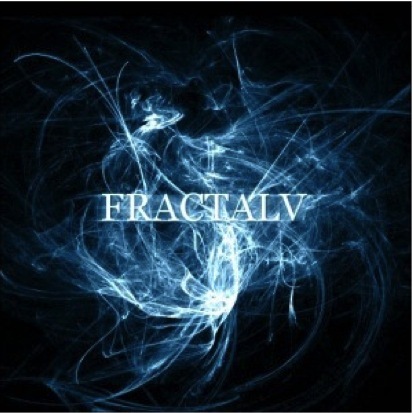 Compatible with Photoshop 7 and above. 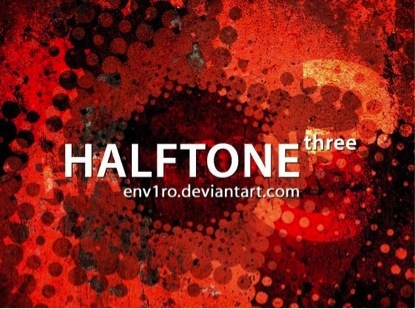 An excellent selection of halftone brushes created by env1ro. 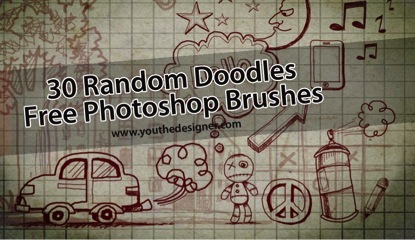 This set of brushes features 30 random doodles, suitable for web banners, web page headers, and e-cards. 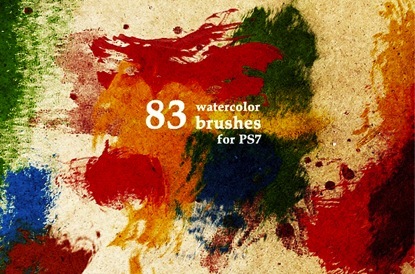 A collection of 83 high resolution watercolor brushes wonderful for creating colorful paint marks. 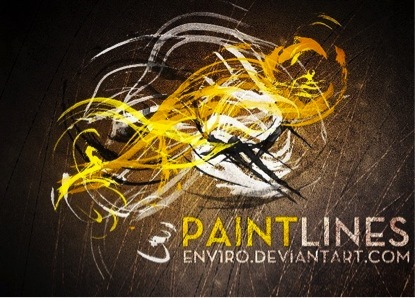 Seven wonderful brushes that are suitable for highlighting typography, and great for creating backgrounds and textures. 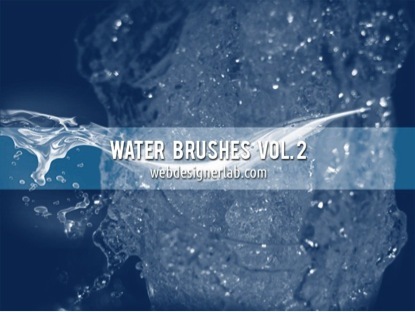 Here are 12 large brushes containing water splashes, ripples, and drops compatible with Photoshop CS3 and above. 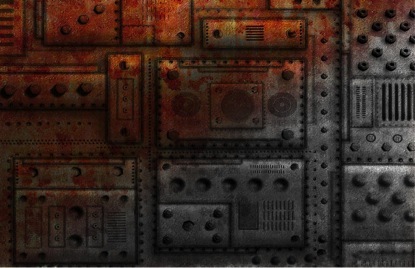 A whopping 138 brushes that includes rivets, holes, vents, complete panels, screw-heads, bolt-heads, metal seams, and metal seams with rivets. 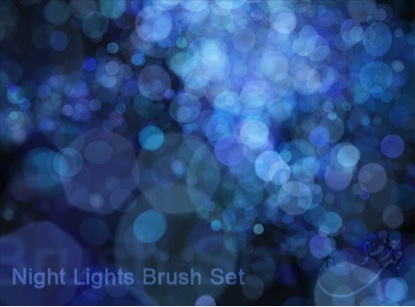 A brilliant collection of Bokeh brushes created by m-ajinah. 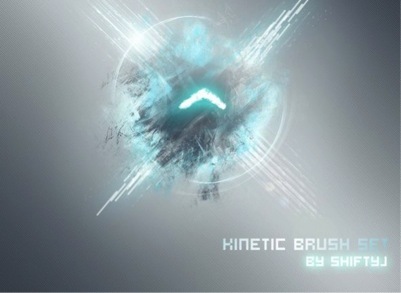 A useful collection of 24 high quality brushes are compatible with Photoshop 7 and above. 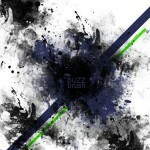 These brushes make it easy to create splatter effects for both web and print designs. 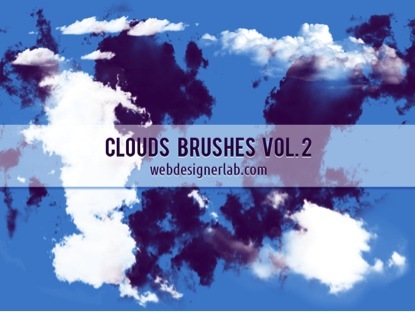 This set of 13 medium and large cloud brushes are great to be added to all kinds of design works.